The proposed sale of Central Vermont Public Service to a Canadian firm has raised a few questions about high power electric transmission corridors through Vermont and neighboring states. Monday, we look at who has a stake in deciding where new transmission corridors will expand, and which parts of New England and the northeast can be serviced by that infrastructure. We also look at some of the related electric energy issues of rates and the impact of potentially closing Vermont Yankee nuclear power plant. 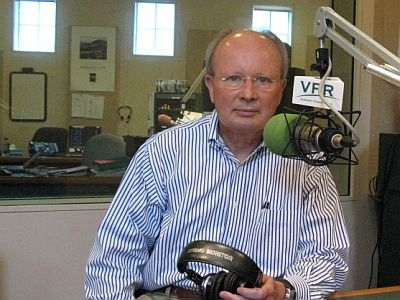 Our guest is Chris Dutton, president of VELCO, the company that operates the physical infrastructure of Vermont’s power grid. Also in the program, water safety. This summer has seen a spate of unfortunate drownings on Lake Champlain and in rivers in our region. We talk with Jaimie Held with the Greater Burlington YMCA aquatics programs about precautions and safety skills in the pools and natural water bodies. And, a mid-summer chairlift ride is perfect for thrill seeking mountain bikers. VPR’s Charlotte Albright gets a trail-side glimpse of downhill biking at Burke Mountain. The former head of Green Mountain Power Corp. has been appointed to head up the Vermont Telecommunications Authority.